Are we in the midst of a filmmaking revolt against the overuse of computer generated effects? 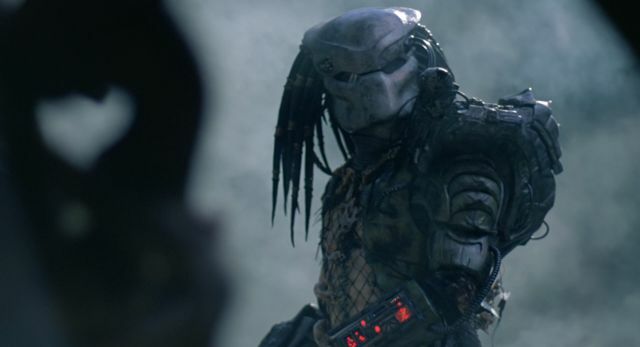 This latest development in the journey of The Predator to the big screen might suggest as much, as director and co-writer of the film, Shane Black, has taken to Twitter to confirm that he will indeed be delivering a real, tangible Predator, when the blockbuster is released in the summer of 2018. While it may seem like a mere snippet of information, lending a tantalizing glimpse of the production process for this highly anticipated sequel, this actually speaks volumes about the growing, and welcome trend in mainstream studio movies to return to the days of practical effects, over and above the use of CGI. The choice Shane Black is making here harks back to his first brush with the iconic alien hunter, when he starred in the original and first movie, 1987’s Predator. That film was directed by John McTiernan, and written by brothers Jim Thomas and John Thomas – who have a hand in the current screenplay, along with Shane Black and Fred Dekker. Predator placed actor Kevin Peter Hall inside a costume specially designed by Stan Winston, and thus presented a very real, terrifying nemesis for Commando Dutch (Arnold Schwarzenegger) and his team. That method tipped a cap to the work of directors such as Ridley Scott, and his creation of the Alien franchise – with which the Predator universe would later cross over in a spinoff franchise, in 2004. But, from 1999 to 2005, George Lucas gave us the Star Wars prequels, and Hollywood seemed to have reached peak CGI. With technological advancements having left his work on the original Star Wars trilogy firmly in the past, Lucas abandoned his previous reliance on practical effects, and instead harnessed the power of technology to create almost the entire landscape of his new three films digitally. The result was a sense of cold detachment that undermined the entire endeavour. This was one of the first points to note about J.J. Abrams’ reinvigoration of the Star Wars franchise, as the return to practical effects increased the nostalgic feel of the project, and added to its success. In amongst these shifts in effects preference, director Christopher Nolan has made a name for himself as a filmmaker that uses CGI only sparingly – opting, instead, for real, tangible sets and characters in movies such as Inception and The Dark Knight Trilogy. This digging in of the practical effects crowd stands in contrast to the franchise work of creators such as Michael Bay, and his Transformers cinematic universe – which is perhaps one of the most successful digital-effects-laden projects currently in operation. What this news from Shane Black tells us, then, is that there’s a specific type of project that benefits from increased CGI, and this is most certainly not it. The Predator will roll into theatres on August 3rd, 2018 – with a cast that features Olivia Munn, Boyd Holbrook, Keegan-Michael Key, Jacob Tremblay, and Sterling K. Brown – and, while some CGI is inevitable, it will hopefully deliver tangible, realistic thrills and spills with as many practical effects as possible.